Welcome Home! 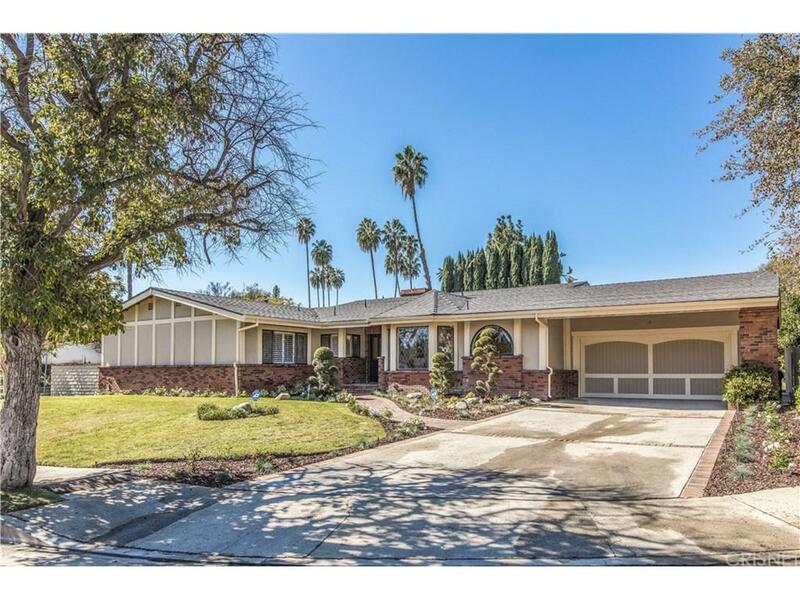 Newly remodeled, South Of The Blvd, single story Tarzana residence with close proximity to Braemar Country Club. Enjoy the quite cul de sac and the 13,000+ flat lot with a large pool and grassy area. This beautiful one story, almost 2,800 sf, home featured a unique large kitchen with white shakers cabinets, gray quartz counter tops, large island, sub-zero refrigerator and 6 burner Viking oven. This home feature 3 remodeled bathrooms and an open floor plan concept. It's also features a formal dinning room, living room, den and a bonus room with a wet bar-all with hard wood floors. The large master bedroom has a huge walk-in closet and a newly remodeled master bathroom. The 2 bedrooms connects to another newly remodeled bathroom. The roof had being completely re shingled. The large pool and huge back yard is professionaly manicured for you to enjoy on a hot Summer day.